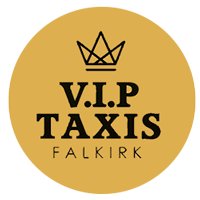 Welcome to VIP Taxis based in Falkirk. We are a professional taxi business offering taxi service locally or nationally. Whether you have a night out, an important business trip, a flight to catch or special event, rest assured our professional and friendly drivers will be there on time ready to take you to your destination in comfort. So, for your next UK Airport Transfer, Private Function, Sporting event or Night out, please contact us and we will ensure you arrive safe and on time.